I just watched Hoarders and now I'm all itchy. 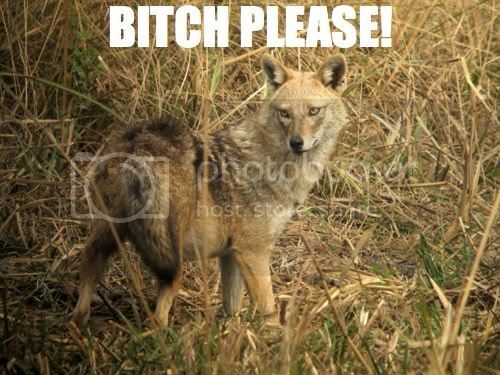 But hey, jackals!! Omg, I know, that one is on right now!!! Four feet of used toilet paper!!!!!!!!!!!!!!! I DON'T EVEN KNOW WHERE TO ADD THE JACKAL ON MINE. Thanks! I'm glad someone likes it! This post is awesome. I love the header. I need a jackal icon now! ... I can't leave this post. Perez looks like a fat pink gorilla in that picture.